LOS ANGELES â€“ August 10, 2012 â€“Â OPIÂ Products Inc. announced a collaboration today with multiple Grammy Award winning and multi-platinum selling recording artistÂ Mariah Carey. A five-time Grammy Award winning global superstar with over 200 million records sold worldwide and 18 Billboard No. 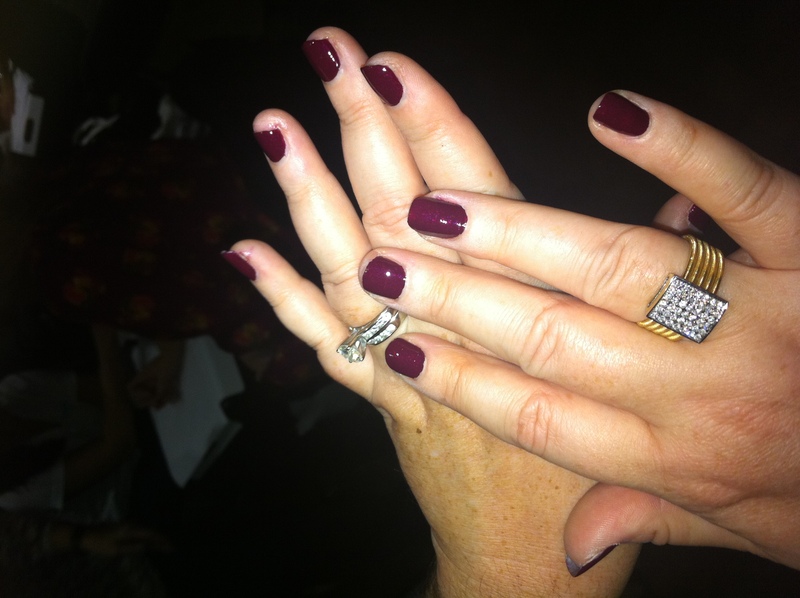 1 singles (more than any solo artist in history),Â CareyÂ will be the inspiration for a line ofÂ OPIlimited edition nail lacquers that will launch January 2013. With a distinct five-octave vocal range, prolific songwriting and producing talent, Carey has defined the modern pop performance. As a singer/songwriter/producer, she has been recognized with five Grammy Awards, nine American Music Awards, Billboardâ€™s â€œArtist of the Decadeâ€ Award, the World Music Award for â€œWorldâ€™s Best Selling Female Artist of the Millennium,â€ and BMIâ€™s â€œIcon Awardâ€ to name a few. Mariah has written seventeen out of her eighteen Billboard No. 1 singles and has two consecutive and unparalleled Billboard â€œSong of the Decadeâ€ titles â€œOne Sweet Dayâ€ (with Boyz II Men) and â€œWe Belong Together,â€ further marking her massive presence on the charts since her 1990 song debut â€œVision of Love.â€ Mariah became the second artist in history and the first female performer to have a song debut at No. 1 with â€œFantasyâ€ (1995), the groundbreaking collaboration with O.D.B. of the innovative rap group Wu-Tang Clan. Careyâ€™s original holiday classic â€œAll I Want For Christmas is Youâ€ redefined its place in pop culture as one of the greatest holiday hits of all time when it reached No. 1 on the Billboard charts in 2011, seventeen years after its debut. Mariahâ€™s influential and stellar contribution to the music industry spans multiple genres and is showcased through a multifaceted hit catalogue as well as a long list ofÂ diverse collaborations. Carey’s ongoing impact transcends the music industry and has left an indelible imprint upon the world at large. She recently made a substantial mark in film with her critically acclaimed role as a social worker in â€œPrecious,â€ the 2009 film based on the novel â€œPush,â€Â by Sapphire. A Congressional Award recipient, Carey has generously donated her time and energy to a range of domestic and international philanthropic causes near to her heart including The Fresh Air Fund/Camp Mariah (a retreat where inner-city children explore career development), Save the Music Foundation and Make-a-Wish Foundation among several others. Mariah is currently in the studio, writing, recording and executive-producing her next album for Island Def Jam Music Group; the lead single “Triumphant (Get â€˜Em),” is now available on iTunes. Recently Carey made worldwide headlines with the exciting news that she will join the judgesâ€™ panel of FOXâ€™s American Idol when the series returns in 2013. As the world leader in the professional nail care industry, OPI is committed to providing high-quality products and services to both salons and their customers, along with a focus on industry safety and innovation. Known for its exceptional formula, fashionable colors and iconic names, OPIâ€™s heavily-pigmented lacquers are super rich, long-lasting and chip-resistant â€“ offering an affordable luxury to consumers. OPI nail lacquer is available in over 200 shades and contains no DBP, Toluene, or Formaldehyde. Each lacquer features OPIâ€™s exclusive ProWideâ„¢Â Brush for the ultimate in application. Currently, OPI is available in over 100 countries and retails a full line of professional items, including nail treatments, finishing products, lotions, manicure/pedicure products, files, tools, gels and acrylics. Tomorrow the long awaited Muppets movie “The Muppets” hits theatres and I was amongst the first to see it. Thanks to Bliss Spa I attended a screening premiere last night in NY with my hubby as part of a Twitter contest @BlissSpa sponsored. I was thrilled because Iâ€™ve been a huge Muppets fan since I was a kid. When I entered the theatre we were greeted with SofiaÂ Mini champagne and brownies. AND maniâ€™s! Yes you heard me right Bliss Spa brought in their talented manicurists to give all the guests maniâ€™s with the new Muppetâ€™s collection by OPI. I opted for Pepeâ€™s Purple Passion. I love the deep dark purple with little flecks of glitter. Itâ€™s perfect for the holidays! All the colors from the new collection were gorg it was hard to choose just one. The film itself was better than I could have ever imagined. I loved the weekendâ€™s growing up as I would sit with my hair in curlers, eating popcorn while watching The Muppetâ€™s on TV. The guests, the banter between Kermit & Miss. Piggy, the music, I loved it. This film reminded me so much of why I loved them to begin with. Since kids nowadays arenâ€™t as familiar with The Muppetâ€™s as us thirty- somethingâ€™s I thought it was a great introduction to The Muppets for kids these days. It introduces the characters in a newer way. The film also recaps on things we recall from watching it on TV and also adds lots of pop culture references and includes a plethora of surprise celebrity guests. The Muppetâ€™s are back! And better than ever in this new film. My hubby and I loved the movie! 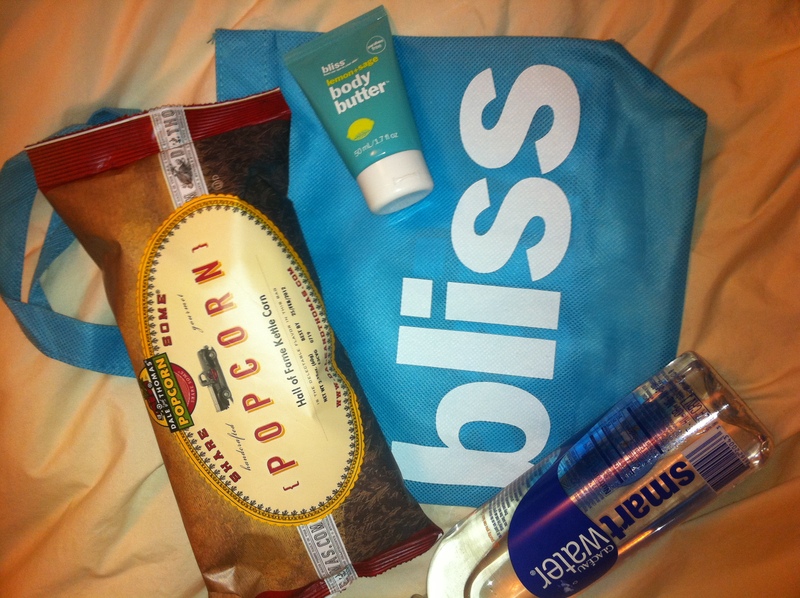 Bliss Spa also provided us with a swag bag filled with their famous Lemon & Sage Body Butter, Dale and Thomas Kettle Corn, Glaceau SmartWater and a recipe for Lemon & Sage popcorn. Yum! Start off the holiday weekend right and take a lil break and check out The Muppetâ€™s tomorrow! A special thanks to Bliss Spa for including moi in the nightâ€™s festivities.